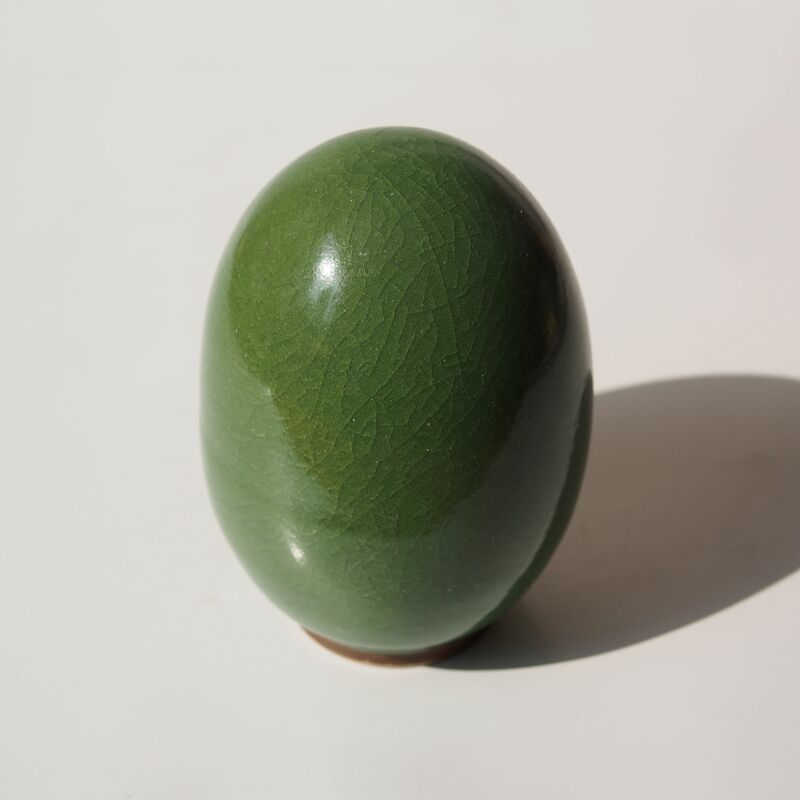 This green glazed capsule is actually part of the architectural feature, Bao Ding, a feature that completed the apex of a pitched roof that has four or more sides or circular. It is a detail for closing off the standard ridge tiling enabling a rain proof roofing, in some cases it is so the cover for the counter lighting device. As it is highest point of a building, like the spire of the tower, it is usually of a larger size. I suspected this bao ding was that for a smaller decorative architecture, perhaps one in the garden, that require a smaller size.